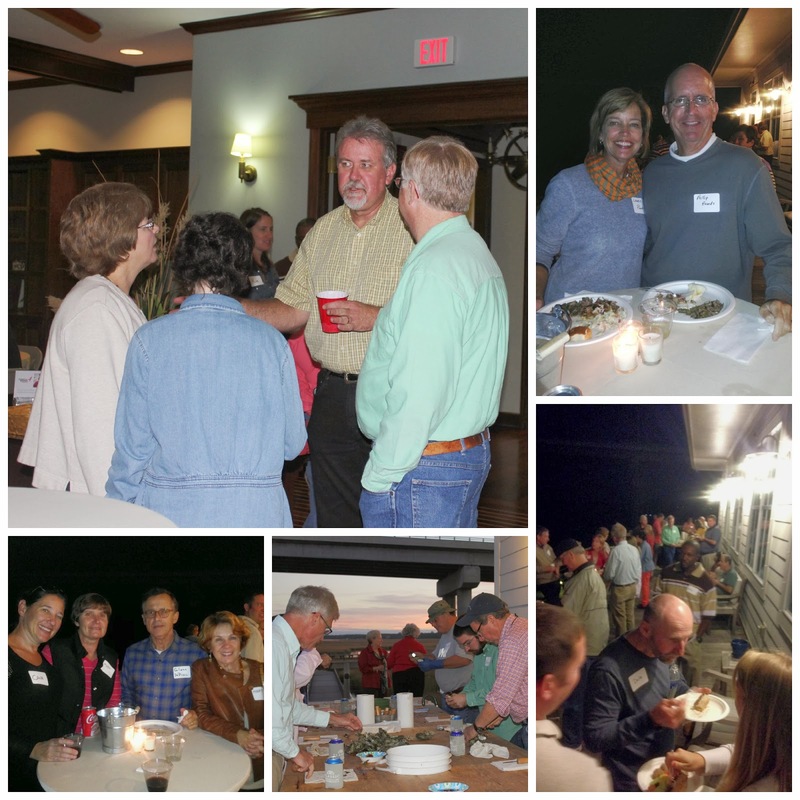 Every year we look forward to our annual client appreciation party, when we get a chance to get together with past clients and new clients for an evening of food and fun. This year, our party took place at the St John’s Yacht Harbor’s Headquarters Room. Despite some concerns earlier in the week about the weather, it turned out to be a picture-perfect evening. More than 100 of our clients and employees came out for the evening and were treated to a full spread of homemade dishes, prepared by Classic’s staff. Our “head chef,” Bob Fleming, provided the main course of pulled pork, mac & cheese, green beans and cornbread, Charleston Oyster Company provided the oysters, and an array of appetizers and mouth-watering desserts helped round out the buffet. Despite all of the delicious food, one of our favorite offerings of the evening wasn’t food related. Like all good party hosts, we don’t like to send our guests home empty-handed. This year, in addition to the koozies and oyster knives, we also wanted to give back to our community and those in need. There are so many deserving organizations throughout the Lowcountry, we decided to let our clients help us decide where our money should go. So, we selected 3 charities* and gave each client a stone valued at $10 to drop into the donation jar for the charity of their choice. Thanks to the participation of our clients, Classic will be making donations in honor of our guests, to Susan G. Komen Lowcountry ($250), Operation Home ($350) and Water Missions International ($490). It was a wonderful evening and we’re already looking forward to the next party. Thanks to everyone who attended and we hope to see you next year! Susan G. Komen Lowcountry - The Lowcountry Affiliate of Susan G. Komen supports breast cancer awareness projects and promotes breast health programs in 17 counties across the Lowcountry. Additional proceeds support research, educational and scientific programs around the world. Operation Home - Operation Home helps low-income residents of Berkeley, Charleston, and Dorchester Counties remain in their homes by increasing safety and accessibility through the coordination of critical home repairs. Water Missions International - Water Missions International provides sustainable safe water and sanitation solutions for people in developing countries and disaster areas. They are currently providing critical assistance to the victims of Super Typhoon Haiyan in the Philippines.